Aoife (previously known using her full name Aoife Ní Fhearraigh, Irish pronunciation: [ˈiːfʲə nʲiː ˈaɾˠiː]) is an Irish singer and composer, born in Gweedore (Gaoth Dobhair), northwest County Donegal. She performs Traditional Irish and New Age music, in the style of other musicians native to the Donegal area like Clannad, Moya Brennan, Enya and Altan. 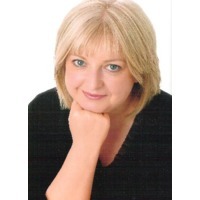 Aoife has performed with such musicians as Phil Coulter, Paul Brady, and Brian Kennedy. Aoife has released four albums. She began singing as a young girl with Cór Mhuire na Doirí Beaga, led by Baba Brennan, the mother of singer Moya Brennan and Enya. After releasing her début album, 'Loinneog Cheoil' in 1991, recorded with Irish band Dervish, Ní Fhearraigh received an offer to perform an extensive tour of the Netherlands and since then has toured Japan, Germany, France, England and Ireland. She also achieved international fame when her song "The Best Is Yet to Come" and "An cuimhin leat an Grá" (Do you remember the love) were featured in the PlayStation game Metal Gear Solid, and again in the PlayStation 3 title Metal Gear Solid 4, using an ingame iPod. In 1996, she released her second album, Aoife, produced by Moya Brennan and Dennis Woods. The album featured local musicians and prominent Irish composers and also featured Belfast's Seoirse Ó Dochartaigh and Donegal's Brídín Brennan on vocals. Seven years later, Aoife recorded her third album, The Turning of the Tide on the high-profile Celtic Collections label, home to Celtic Woman, in much of Europe. Her latest album, If I Told You, was released in 2006 in Banbridge, County Down with her husband and long-time collaborators. The album's success was average, although she has stated on her website that "she hopes to go full-time in music with her next album". Aoife married in 2007 and now resides in Banbridge, County Down.